Omg! 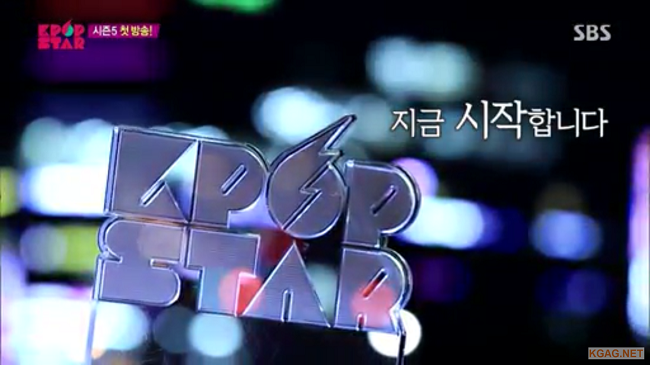 It’s finally here, K-pop Star 5. You guys don’t even know how much I’ve been waiting for this season to start. I’m super excited to see what hidden treasures the show will dig up for the rest of the world to enjoy. It was a good episode. Here are some of the contestants that stood out for me and who I’m looking forward to seeing in the upcoming rounds. She’s the daughter of veteran singer Park Sang Min and before her audition, her little sister sang but was unfortunately eliminated. Her little sister is the one who gets most of the attention (at least that what it seemed like to me), while Park Ka Kyung lived happily (?) in her shadows. But like, once she stepped on the stage, you could instantly tell that she was going to be a lot different and that she had more…heart. Her singing voice is really pretty and if she just practiced a bit more, she could definitely make it far in this competition. This boy had little tears fall from my eyes. I’ve heard this song sung many different times, just on this show alone. Maybe it’s the song in general, but the way he sang it just made me sad. I think the k-pop world needs its own Adele or Sam Smith. I think that’s what I’m looking for and maybe he could be it. Why hello there. I remember you. I remember I loved you. I’m glad your back. So glad. Jung Jin Woo came back after 2 years with his own song and it was awesome. All the judges instantly passed him. YG mentioned how his style is in right now with the likes of Hyuk Oh and Zion.T, and I agree. I’m super excited to see what he’s going to show from now on. Who do you think sang it better? Let me know in the comments below! That’s all I have for you guys today and I’m patiently waiting for episode 2. If you’re like me and waiting, here’s something to help you pass the time.